My First Time is a regular feature in which writers talk about virgin experiences in their writing and publishing careers, ranging from their first rejection to the moment of holding their first published book in their hands. 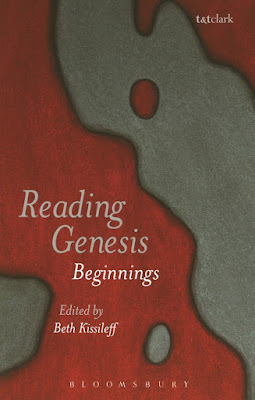 Today’s guest is Beth Kissileff, editor of the new anthology Reading Genesis: Beginnings—the first of a series (Reading Exodus is in the works). She holds a PhD in comparative literature from the University of Pennsylvania and has taught English literature, writing, Hebrew Bible and Jewish studies at Carleton College, the University of Minnesota, Smith College and Mount Holyoke College. 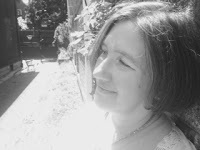 She is the author of a forthcoming novel Questioning Return (Mandel Vilar Press, 2016) and is at work on a short story collection and a second novel. She lives in Pittsburgh with her family. When I got home from Sabbath lunch at a friend’s house and glanced at the mail, I knew what it was. A package from London, from my publisher, could only mean one thing: it had to be my book. I don’t tear on the Sabbath so I won’t open my mail or a package. There are exceptions—one can hint to a non-Jew without asking explicitly how nice it would be to have a labor performed on your behalf that you can’t do yourself. When the last Harry Potter books came out and were delivered on Saturday to our neighborhood (one filled with observant Jews), my oldest daughter stayed home from synagogue to be sure and catch the letter carrier. By the time he got to our door and saw the eager face waiting for his arrival, our mail carrier was smart enough to know that he would get a delighted smile if he asked whether he should open the package from Amazon. Oh yes, my daughter would be so pleased if he opened that package from Amazon himself, a service he had already performed many times at other neighborhood households that morning. But when it came time to open the package from my publisher, I waited until after we said the prayer of separation between holy and profane, between the Sabbath and the six days of the week. My kids, excited for me, decided we needed to do an “unboxing” video of me unwrapping my book, heralding the arrival of a beautiful volume with a cover done in bold shades of red and gray by the extraordinary and generous artist Tobi Kahn. I felt a bit like I did with my first baby—oh, it is real. Of course, when I was pregnant I had nine months to prepare for the arrival of a full-fledged human being. My stomach had contorted and grown and stretched and I had spent the entirety of those months in a fugue of nausea, throwing up once and often twice a day. I knew things would be changed, that a baby was coming, but somehow it was only when I actually saw each of my stupendously beautiful daughters arrive that they became real. Not before. Happily this new book of mine didn’t interrupt my sleep schedule—or not exactly. After unboxing, we spent the evening with my husband’s college roommate and his wife, eating dinner and watching a movie. I had two glasses of wine. When I got home and readied myself for sleep, an odd thing happened as I lay my head down on the pillow. 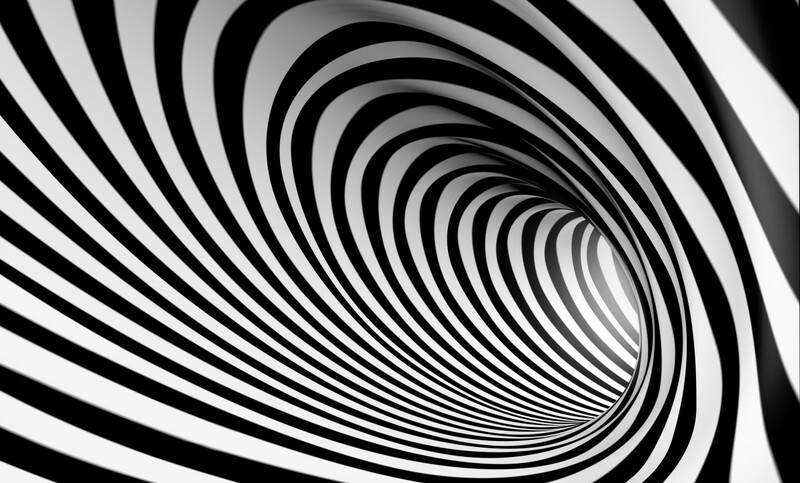 Everything was spinning, my body a spaceship hurtling through the world, whirling around and around. 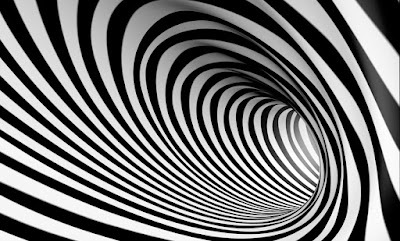 Though I was inert, lying perfectly flat and motionless, I felt like all of me was in dizzying transit. I somehow imagined myself at rest and the hurtling stopped but it was all very real, not a hallucination. The next morning, I felt nauseous. I threw up once, and combined with my sense of dizziness and lack of command of my surroundings, I was sure I was having a brain hemorrhage. A friend of ours had one last year and was saved only by rapid intervention; I was positive I was experiencing something similar and we had no time to spare in getting to the emergency room. My wise husband, a bit less concerned, took me to urgent care. So, why vertigo now? My best friend says it is just a coincidence, that it had nothing to do with the effect of seeing my book in print. I am sure she is wrong. I was jolted and disoriented, feeling my body moving through the world in an unnatural way when it was clearly at rest. The odd thing is that the essay I wrote for this new book I edited was about someone who lived her life in the aftermath of a jolt to her system. Well, two jolts really. Reading Genesis is an anthology of essays by academics, using something of their professional field of knowledge to explore the Biblical text. My essay is about the matriarch Rebecca, scouted out as a possible wife for Isaac by the servant of Isaac’s father, Abraham. When the servant sees Rebecca, he gives her jewelry and then asks her who her family is. When he meets up with her family, he tells the tale of the encounter in a way they will find flattering and convincing, that he first asked who the young lady’s family was, and on hearing the correct answer, gave Rebecca her trinkets. I imagine this twisted recounting of the narrative must have startled Rebecca, changed her notions of herself in some way, for the servant was basically saying that it was her deeds that made this marriage possible—when she acted, God was acting through her. This gave her a great deal of power. Yet it was dangerous. Later in life, Rebecca had a message from God about the fate of her sons, the twins Jacob and Esau, telling her the younger would rule the older. She never told her husband about her oracle from God; but when she heard Isaac offer to bless Esau, Rebecca asked Jacob to impersonate his brother and steal his blessing. In my reading, Isaac was ready to offer Jacob the appropriate blessing of inheritance anyway; Rebecca’s intervention was wholly unnecessary. I believe it is her early exposure to a misreading of events, that she was perceived to have a power that she did not, that threw off the rest of her life. Rebecca, after the encounter with the servant and then falling off her camel when meeting Isaac—astounded in some way the text conceals and mystifies—never has full control of her narrative. Her life has been interpreted by others. In her bid to control the plot of her life, she fails and she is alienated from her beloved son Jacob, never to see him again. I was nervous about writing my essay, claiming a place for myself among Biblical interpreters and implying that I and those I had invited had something worthwhile to say about the Bible—The Bible, sacred text for multiple faiths. Maybe there will be critique of the book—I don’t know yet. All along, I felt so unsure of whether I had the right to do this, to edit an anthology, to make a claim for myself as an authority figure. Am I qualified? Who am I? Whether I had the right to or not, I had the idea and wanted it to come to fruition. I wanted something new in the world that I created and would be responsible for. I am floating through life now, but I don’t have vertigo. It went away after that one day. I do feel that I needed it to give me a sense that I am moving to a new phase of my life. The way I approach the world is different. I was off kilter and askew in the hours after I first saw my book. I am going to be different now, as I was when I gave birth. But I am ready to face whatever changes having my book out in the world will bring. Be proud of writing a book! It's not often that thoughts can come forth and be written down on paper so that they are in a manner that comprises an entire book. Even if there's not a critique of the book, it sounds like the family is proud of the accomplishments that have been made.